Can you please upload images of both sides of the PCB? You can also send me a private message with your email if you want. Roberto, here it is the images from the PCB. Can you help me in this case? Thank you very much. Data Recovery Technician - If Data is important don't DIY without knowing the real problem. Can you help me in this case? I can not say for sure, but I think it should work. Wishing you good luck !!! Please do post your results when you do manage to decrypt the drive (or not) ! HDD is in my hand, but I can not say much yet. Will come back later to report. Is it you from whom I received the key sector at my email address? Can you please send me a private message with your real name? No, I don't send you anything. I'm waiting for a reply from the client about the price. So I have a WDBFJK0020HBK-04 drive that I cannot access. Windows says to "initialize and format". Seems to be an older drive because the HD date code is 3 Feb 2014. I've been reading up a bit on trying to access this drive but am a bit confused. Everywhere I read says JMicron / Initio / Symwave / PLX are the chips for AES encryption, but (after opening the case), I cannot see these chips on the WD controller board. If I'm guessing what the chip should be, it's marked as ASM1051W (Looking at the infofaster's photo above, my controller board is smaller...almost like a little triangle). I guess my first question is: is this an encrypted drive? I'm really hesitant about taking it out of the case and booting into windows to see about recovery (after reading Mr Kaeding's comment about people ruining the MBR by doing that.....). If it is encrypted, would your tool work? Much thanks! Windows says to "initialize and format". If it is encrypted, would your tool work? I guess my first question is: is this an encrypted drive? You'll have to show us MBR or the second sector. Then we'll be able to tell you if the drive is encrypted. If it is encrypted, would your tool work? Much thanks! I'm really hesitant about taking it out of the case and booting into windows to see about recovery (after reading Mr Kaeding's comment about people ruining the MBR by doing that.....). You should connect the drive to a running Windows PC via another working USB converter. 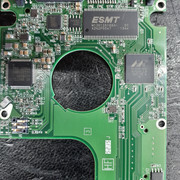 Then you can use tools like DMDE to show us the first sectors of the hard drive. Hi Jermy... If I'm not there yet, maybe a little help in the right direction? Hi Roberto - thank you for the the reply. I have a USB/e-sata drive caddy that I can plug the WD drive into. But wouldn't that risk modifying the MBR, if I connect that way? I also have a Ubuntu USB stick that I can boot to if needed. If it wasn't for the fact my 78-yr old father decided to use this My Book as his master photo drive, I'd just toss the enclosure and format the drive. But...I need to try to get his photos back. Does anyone know a reliable write-blocker, freeware or relatively cheap ? Otherwise it should be safer under Ubuntu indeed, you just have to find another way to extract the required sectors (you can probably do that with a simple dd command). Which comment were you refering to above ? Was it on this forum or elsewhere ? (...)Does anyone know a reliable write-blocker, freeware or relatively cheap ? The posting I was referencing was a July 12th post on a WD community forum. I don't know if it's against site rules to link, but it was the first link that came up in Google, which was where I started my research into trying to recover the photos on the drive. As for accessing the drive, I'm a bit limited. I'm not a data recovery company, just a regular PC user looking for some help/direction with recovery. Before I start sticking the drive into my drive caddy, I'm just trying to do my homework and avoid making a crappy situation worse. I'm not a rich person person by any means, but if there is software that can read the drive and allow me to copy the photos to another drive, I'm willing to purchase it. To block windows writing, you can just alter few bytes inside MBR (for example you might change last two MBR bytes from '55 AA' to 'FF FF'), windows will not mount any partition and it will not try to write or modify anything. At this point, only data recovery softwares will be able to handle it. You can use DMDE DOS to change those bytes. Hey there, I am in a situation where I am attempting to recover information from a WD My Book 3TB drive. It has the Symwave chipset. I am unsure of where to start but am looking for some help in the right direction. What can I provide that may help with starting this process? First you should had started by opening a new thread instead of writing here as it might start to be a thread with mixed problems from diferent users. - Drive full model ? - Does it spin at all ? - Does it make clicking sounds ? - Can you access the data at all ? Does it show on BIOS/Windows ? 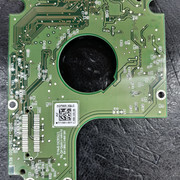 - Did you convert the PCB to SATA or use SATA equivalent ? Did you swap ROM ? Did you clone the drive ? - Can you access the drive over SATA ? Does the drive have a USB only PCB ? Hey Roberto can you send me an Email. I might have job for you! i found your thread and this forum while searching how to unlock my two WD drives (WD My Passport Ultra, WD My Passport). It sounds very interested that you could possible found out the password to unlock the protected WD drives. Could you tell me please, if you would help me, what do you need (when not sending the drives) and how much would it cost me to recover the password for both drives? Btw, i am using Windows. Found this thread after beginning to work with reallymine. I'm a new member and cannot send PM yet. How can I get more details? Thank you.